Users' privacy is very important to Virtualcorp Solutions Pte Ltd. We are committed to safeguarding the information Users entrust to Virtualcorp Solutions Pte Ltd.
Virtualcorp Solutions Pte Ltd collects personally identifiable information from Users through online forms for ordering products and services. We may also collect information about how Users use our Web site, for example, by tracking the number of unique views received by the pages of the Web site or the domains from which Users originate. We use "cookies" to track how Users use our Web site. Virtualcorp Solutions Pte Ltd may use personally identifiable information collected through our Web site to contact Users regarding products and services offered by Virtualcorp Solutions Pte Ltd and its trusted affiliates, independent contractors and business partners, and otherwise to enhance Users' experience with Virtualcorp Solutions Pte Ltd and such affiliates, independent contractors and business partners. 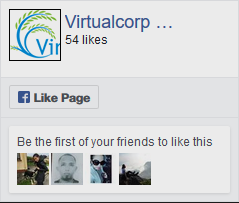 At no time will Virtualcorp Solutions Pte Ltd's database of users ever be sold to any entity for the purpose of marketing or mailing lists. Personal information will not be sold or otherwise transferred to our business partners without your prior consent, except that we will disclose the information we collect to third parties when, in our good faith judgment, we are obligated to do so under applicable laws.